If you are working all day and have no time for relaxation then life will come to a boring standstill. And if you have been looking for ways to relax, unwind and completely rejuvenate your body, mind and soul then you can do the same within your budget. 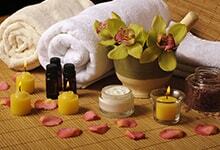 All you have to do is opt in for a spa and get completely refreshed. And if you wish to save a good deal on the same, you can make the most of the spa and saloon offers that are available on HappySale and save a good amount. The offers and discounts here are listed from the best brands such as Nearbuy allowing you to select deals and discounts on spa and saloon packages that cater to your purpose as well as budget capacity. From cash back offers to the best of the promotional discount offers, there’s plenty that you can opt in for. Get the best spa and message services online via Nearbuy and avail upto 92% off deals in Mumbai. This Nearbuy offer is exclusively for Mumbai users. Follow to the landing page where you can get services from various spa's like O2 spa, Mudraa spa, Ubon Thai spa & salon, Aqua spa & more. No promo codes required to get this offer. Get your beauty salon services with the best discounts that are available at Nearbuy. Here you can get 130 Nearbuy deals on salon services to save maximum amount on your booking. You can get the services starts from Rs 29. In Nearbuy you can book your beauty services at various famous salons like Naturals, Loreal Professional, Jawed Habib, Glam Up and lot more. Buy the offers and save now! Nearbuy Salon Deals In Hyderabad: Get upto 50% off on saloon deals online at Nearbuy. Here you get various salon deals of Jawed Habib, Loreal Professional, Naturals, Shayas, Mars, Envi and more. Make your booking via Nearbuy and save more. No coupon codes required. Get flat 50% off on Toni & Guy salon services via Nearbuy. Here you can get this discount deal at zero price. No promo codes required to make avail of this offer. Applicable for both old and new users. Hurry up and avail now! Hassle free is a state that is tough to be in today’s world! With never ending work targets and personal household chores and other demands that an individual needs to cater to on a daily basis from time to time, its calmness and relaxation that he seeks the most. And plain rest isn’t enough. When the stress has accumulated to the tissues and you want respite that heals the soul and body, then the best way is to opt in for a rejuvenating spa experience. In addition to that, today you can opt in for this experience within your budget as well. By browsing and searching for the attractive spa and saloon offers that are listed online you have the chance to save more on your spa sessions. The best place to search for the same is HappySale . It is a known fact that any spa and saloon sessions of pedicure and manicure are expensive! This is because of the expensive creams, lotions and the increased man hours that goes onto offering a body massage or a hair spa and the like. This is the reason why online users prefers to opt in for the spa and saloon offer codes that are available online, allowing you to save more as you opt in for the best spa sessions. And when you select online you have the chance to make the most of the deals and discounts from popular online brands such as Nearbuy and other brand where you can make the most of the discounts and promotional offers. Here you can experience as much as 80% discount on beauty treatments in your own city which is a super saver deal. That aside, there are other cash back offers too that you can opt in for. To be able to make the most of the recent and real spa and saloon offers of the day keep browsing the deals from HappySale. Here there are no hassles in deal selection as well as activation. Read more on the deal details and then select the one prior to the deal expiry timeline. Updated on April 22, 2019.